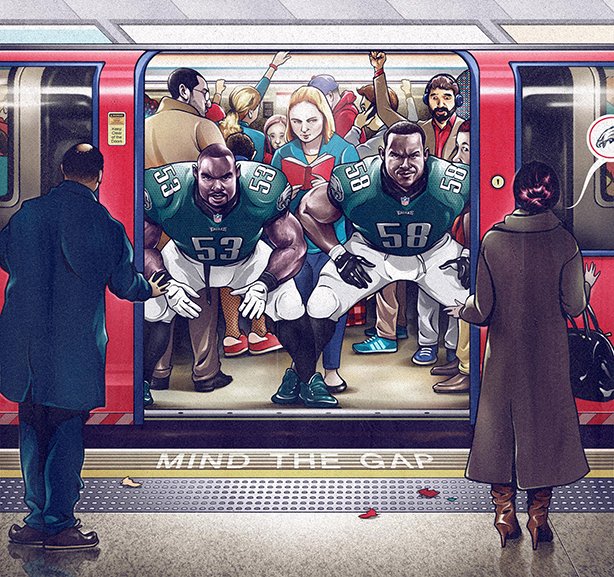 Super Bowl champions (until Sunday), the Philadelphia Eagles, spread their wings across London this season in a fun campaign to attract new fans. London-born Jay Ayaji was a star draw in the Philadelphia Eagles recent visit. 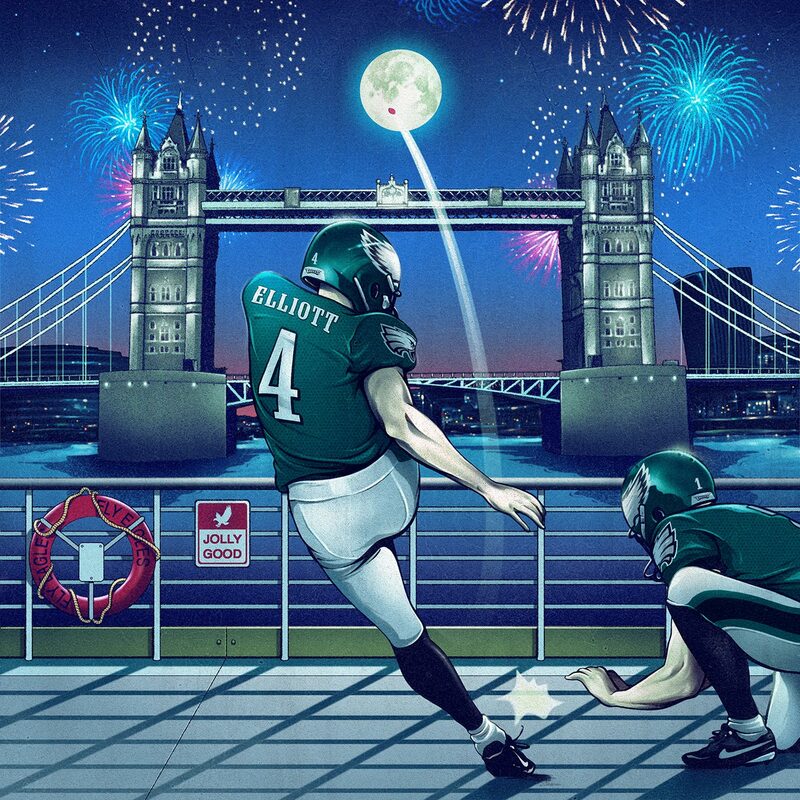 The Eagles were the first Super Bowl champions to play in London straight after winning the Vince Lombardi Trophy when they visited last autumn. The Eagles marketing activities include the ‘More Alike Than You Think’ video series, outdoor activations around train stations and other prominent London locations, and a ‘Regal Eagle’ website, which carries sharable content. On the ground, the Eagles hosted a number of live events for fans, which included bus tours with Eagles’ legends, Eagles mascot Swoop, cheerleaders and others. There were also pub parties and partnerships with influencers. 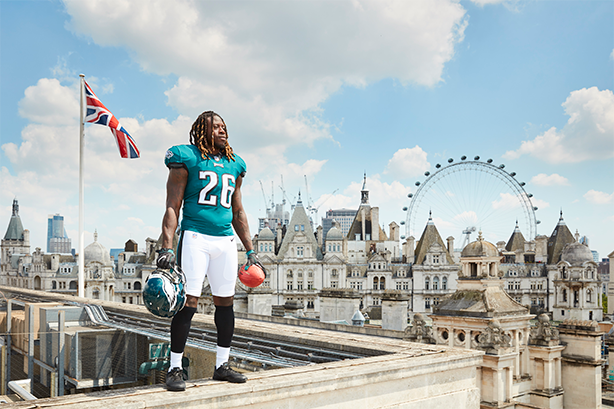 "We saw a fun opportunity to create a connection using comedy and content, borrowing a little bit from British sensibilities to not only entertain Eagles fans who traveled to London but spark new fandom," Jen Kavanagh, SVP of media and marketing, told PRWeek. "When you win the Super Bowl there is a spotlight on you and it was very contagious. We really want people to get to know who we are today and get them to know us on and off the field as well. We refer to this content and fan engagement as 'helmets off' and we really want people to get to know them off the field. Kavanagh said the major challenge of marketing in the UK is cut-through, particularly in a country obsessed by football, cricket and rugby. "We really felt it was important to come up with something that would cut through the noise, be memorable and get fans to really engage with us online and on social," she said. The Eagles have more than seven million fans in the US, and the UK is regarded as the third-largest market for fans after the US and Canada. On the eve of Super Bowl LIII, PRWeek has rounded up some of the Eagles' UK-focused marketing activities this season. This Sunday, the Los Angeles Rams or New England Patriots in Super Bowl LIII with the game broadcast live on BBC One and Sky Sports USA on 3 February from 11.30pm.